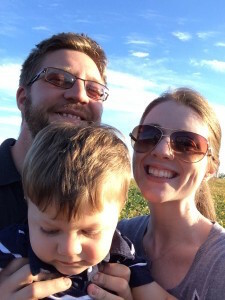 When I meet people and our conversation drifts to our son and his diagnosis, the first question everyone asks is, “how did you know? He’s only…” fill in the blank with young age. And my mental response is always, “how could I not know?”. 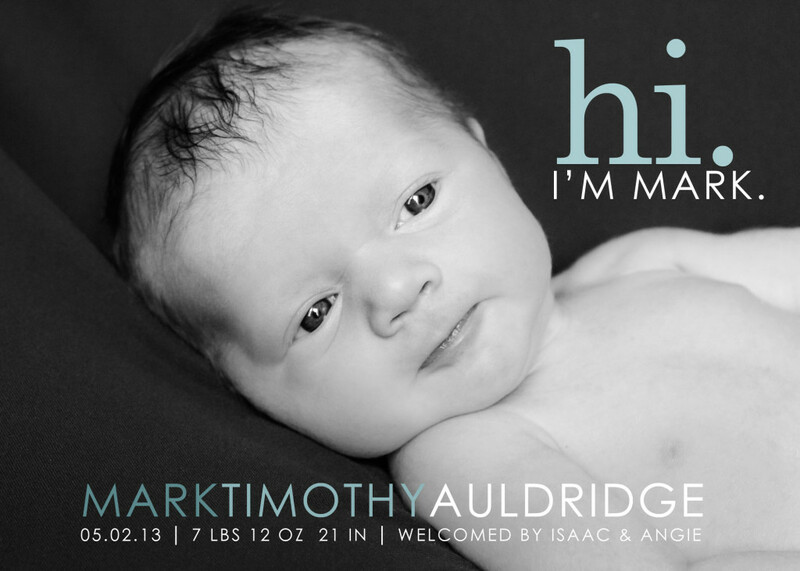 Our son Mark was born in the spring of 2013, just shy of our daughter’s second birthday. As an infant, Mark was little, smaller than Jillian who came out the size of a toddler (slight exaggeration) but we noticed that he had a lot of strength for being so little, so we nicknamed him Mighty Mouse. As time went on, the name Mighty stuck, and obviously it has taken on such a significant meaning for us. At the time, we were living with my parents while we built our house, so my maternity leave was spent at home with my mom, who works from home. Mom and I began to notice that Mark never seemed to lock in on our faces. He would gaze past you as if you weren’t there. You could get him to smile with tickles but never in response to anything said to him or gestures made. 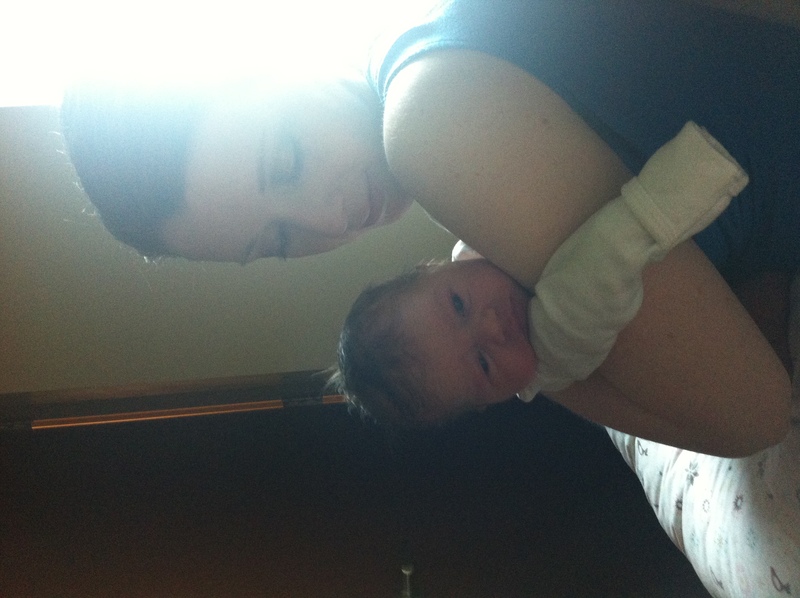 He also slept a lot, and was the easiest baby on the planet, almost never crying. 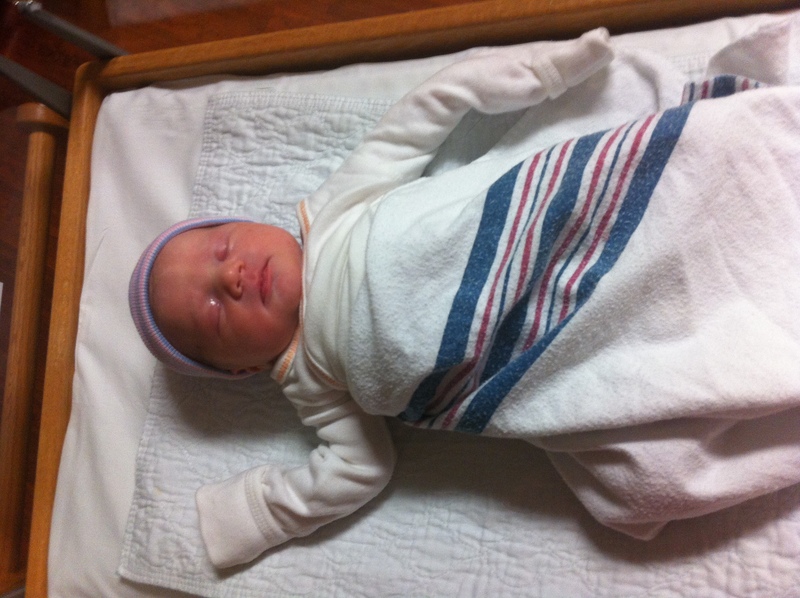 I thought I had hit the lottery in terms of newborns. For those of you reading this that knew Jilli as an infant, you can imagine our elation when we had Mark. Having two small children meant that our attention was obviously divided and tasks that I did when only having one child, like reading development books, went to the wayside. So when I finally took the time to read through one of the First Year toddler development books, I realized that the small milestones that babies reach, weren’t being obtained by Mark. At this point, it was all of the physical ones, like rolling over, pushing up on hands, reaching, and most other physical exercises infants are able to do relatively quickly. People reassured me that boys were slower and that Jillian was a fast developer; I shouldn’t compare. I tried to enjoy my easy baby but deep down I knew that something was wrong. I was determined to nurse for as long as possible because the first go around with Jilli, it didn’t go that well. I spent most of my pregnancy reading nursing books. I was going to do it, period. And I nursed, and consequently developed three cases of mastitis. My infections were so bad that the last two times I ended up in the ER, and then in the IV Infusion Center at the local hospital on IV antibiotics for several days, in fact that’s where I spent the morning of Thanksgiving. I met with our hospital’s lead infectious disease doctor and his take was that Mark had a type of bacteria in his mouth that causes infection and as long as I continued to nurse, I was at risk for developing more infections. I was heart broken because despite the infections, nursing was going well. I had made it to six months of nursing and pumping at work, and now I had to give it up because he had a weird type of bacteria in his mouth. Another clue that something was different about Mark. 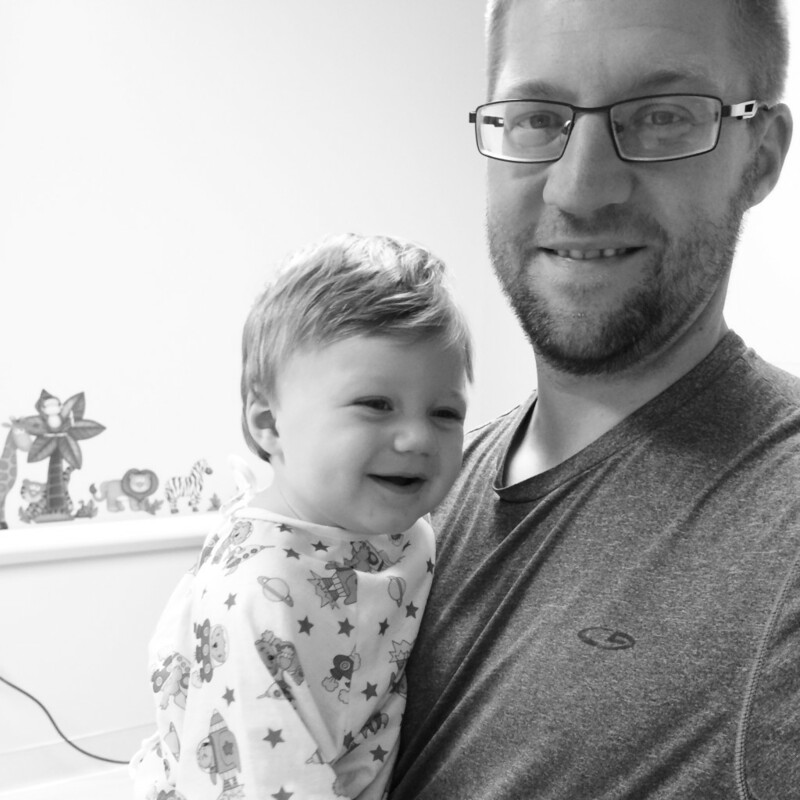 During these months of my repeat infections, Mark was constantly congested, runny nose all the time and odd breathing/nursing sounds, with lots of snorts and some apnea. He was also a “spitter” who spit up in abundance after most feedings. 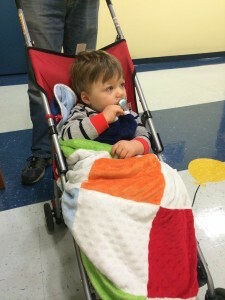 We took him to the pediatrician and we were told that it was reflux. Once again, another clue. 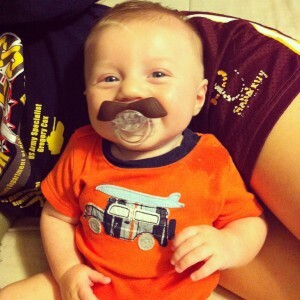 He was prescribed Zantac and encouraged to sleep with a wedge in his crib. And so we followed the medical advice. Meanwhile, Mark was continuing to miss milestones. 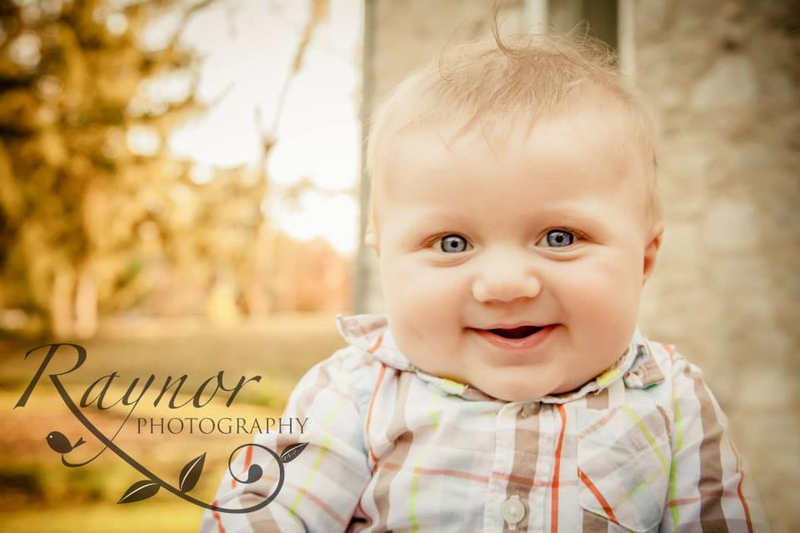 I remember during a fall photo shoot when he was six months old, and the photographer wanted him to sit in a wagon. He was unable to support himself so the photographer’s assistant had to crouch behind him to hold him up. They photoshopped her out and I remember thinking how odd it was that he couldn’t sit up independently at that point. Three months later, he was sitting up but folding in half. It was at this point when he was nine months old that I decided to talk to one of my co workers about it. His wife was a pediatric PT for the local school system. We visited them at their house and she unofficially assessed him as being eligible for Birth to Five services. We didn’t think much of it, but went ahead and applied for early intervention services. 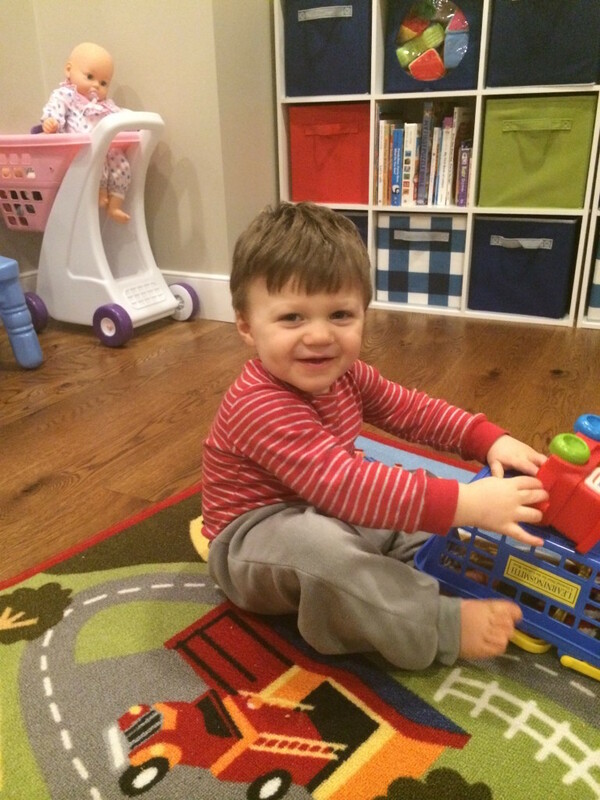 October 2013 – the photographer’s assistant is propping him up in the wagon. 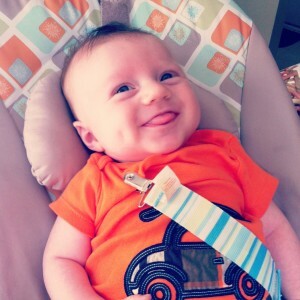 Cute little hypotonic baby, isn’t he? 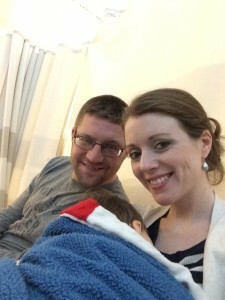 Right before Mark’s first birthday, his congestion, and spitting up was beyond out of control. I thought perhaps it was a result of all of illness swirling around our house. 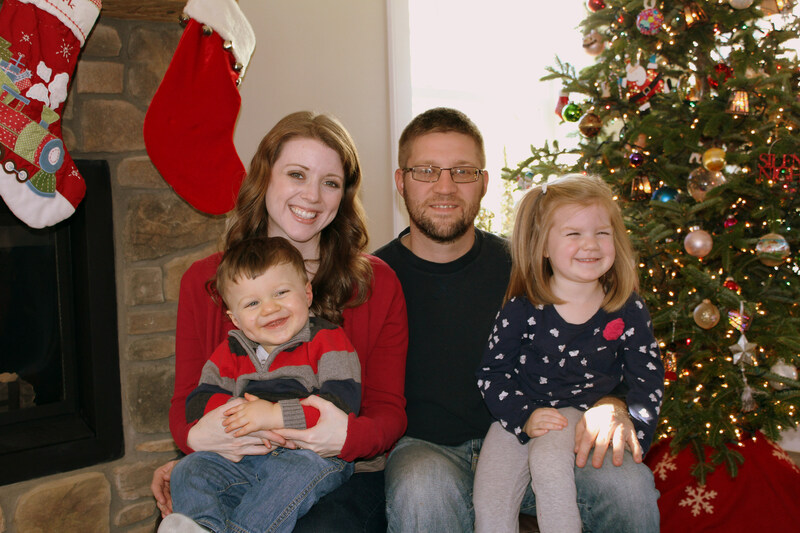 Our whole family had a number of colds, strep throat and respiratory infections that spring. Finally, I decided to go to the ENT for myself since I couldn’t seem to kick whatever was happening with my sinuses. It was there that I discovered, after a breathing test and some blood work, that I was allergic to a number of different foods. (I will later suspect that eating so many allergic foods during pregnancy may have contributed to some of Mark’s issues). At my follow up appointment I thought to ask about my son. Within a week our ENT assess Mark, putting a fun (not) tube down his nose to get a better look at his adenoids. He can see that they are beyond swollen and that his ears are filled with fluid. We’re sent for a hearing test and Mark fails. There’s absolutely no movement in his ears and the audiologist suspects that he has spent the first year of his life with no hearing. I feel like we’re on to something and that perhaps the reason for his non-responsiveness was the ear fluid. Before I was out the door, we had scheduled an adenoidectomy and bilateral tubes. 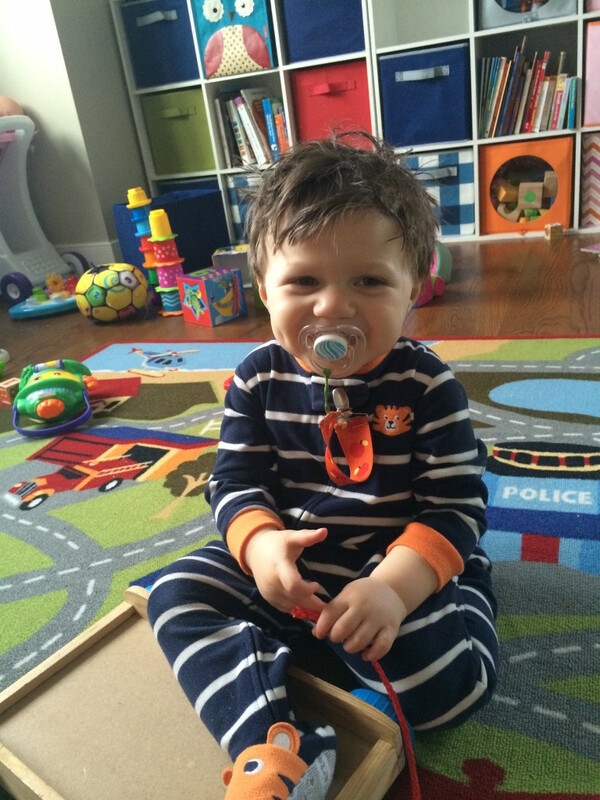 We were told that the reflux and congestion was being caused by the fluid in his ears due to his enlarged adenoids. Our ENT tells that we’ll have a new kid after the surgery. We pause for a moment and express to each other that we love our boy and actually hoped that we didn’t see too dramatic of a change. The surgery comes and goes, and though the congestion and reflux indeed resolve, Mark still doesn’t respond to sound, including his name. I spoke with my aunt, who works in mental health at a hospital in Florida, who encouraged me to seek help from a developmental pediatrician. I had never heard of one and was somewhat overwhelmed by the idea of making that appointment. She told me that Kennedy Krieger was the best in the world, and right in our backyard (sort of… a little over an hour away, to be exact). Late that summer, I filled out an intake online and within an hour I was called by a representative from Kennedy Krieger. They did a phone intake and told me that they would call to refer us to a developmental pediatrician. We wait and wait, and nothing. I call again, and I’m told that they have not received his information. After a few more phone calls, we realize that his information was lost along the way. I feel frustrated, and defeated (I’m so naive, this is peanuts compared to what I will face in the coming months). Finally we’re able to get an appointment in late September with the Neurodevelopmental Clinic at Kennedy Krieger to see Dr. Davoli. After waiting several weeks, our appointment day had arrived. 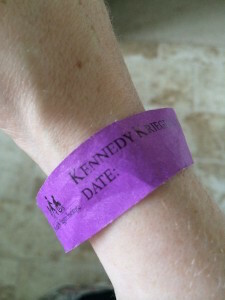 Our first visit to Kennedy Krieger left us in awe of the world class doctors and therapists that inhabited this place. The doctor spent over two hours with us taking a history and evaluating Mark. Dr. Davoli rang a bell on either side of his head and he didn’t flinch. She tried to get him to find an object under a cloth and he couldn’t find it. Several other simple tests followed and he was unable to complete any of the tasks. 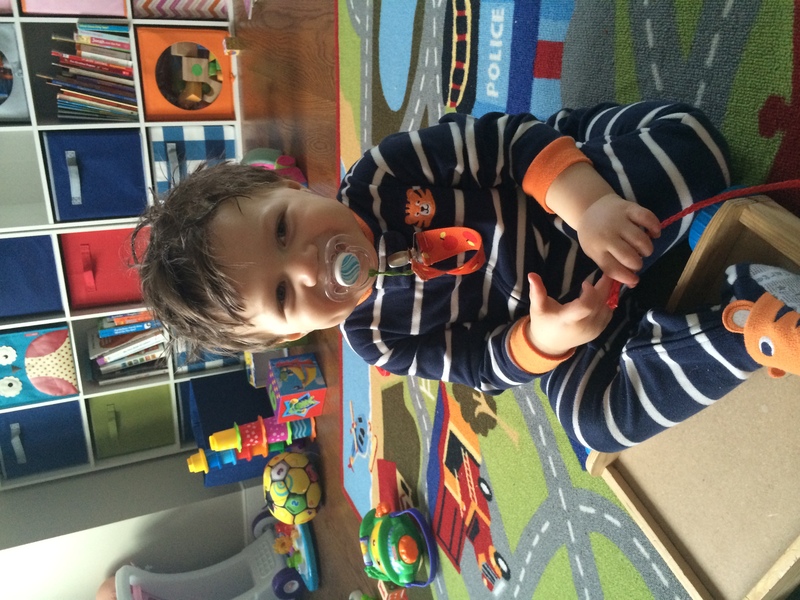 The diagnosis we received was Global Developmental Delay. She drew some trajectories on paper and explained that worst case scenario we may have to hold him back a year in elementary school since it appeared that he was rather behind in all areas, gross motor, fine motor, cognitive, social. etc. She felt that it was too early to rule autism in or out. We needed to wait a bit longer. Her first recommendation was to send us over to the Audiology department right away for a hearing screening. This is when we met Dr. Pillion and his staff. Dr. Pillion was an interesting man, given that he himself had a pretty significant stutter. We were then lead to a darkened room for a hearing test. After our experiences at the ENT with hearing tests, I knew that we were in for it again. Mark hated having his ears touched, let alone probes placed inside. This was going to be a miserable experience. Ike held Mark and we hoped that he would drift off to sleep. Surprisingly he dozed and Dr. Pillion tried to sneak the probes into his ears but Mark woke abruptly, irritated and crying. Instead of appearing frustrated like we were, Dr. Pillion told us that we had all the time in the world and he wasn’t in a hurry. I relaxed and took a breath. He tried again, unsuccessful. Finally, once asleep again, Dr. Pillion gently stroked his cheek, then the side of his head, slowly making his way to Mark’s ear. He placed the probe inside ever so gently, and finally we were able to get a reading. I had goose bumps as I watched this man work so diligently, and patiently with our son. Once again, I felt privileged to be at Kennedy Krieger amongst world class professionals who love the children they treat. Thank God, He lead us here. Since Mark failed some of the hearing testing it was recommended that we have him scheduled for a sedated ABR, a special test done under mild sedation that measures Mark’s brain response to sound. It would tell us if his brain was receiving and processing what he was hearing. This apparently was much more effective in determining hearing than the behavioral tests that were difficult to complete.In addition to this recommendation, Dr. Davoli requested an opthamologist screening, several rounds of blood work – both metabolic and genetic, along with urine testing. She told us that she was casting a wide net to see if anything would turn up. Depending on the results, she would make further recommendations. So off we went with our lab slips in hand to fetch what we could with the wide net. Two weeks later, Mark saw Dr. Glaser in Frederick, MD. A dilated eye exam showed perfectly healthy eyes. Once again, the behavioral testing produced no results as Mark could not follow direction. After several incredibly frustrating botched lab attempts, one in which ended in a angry and tearful phone call to the manager of the local medical lab, we finally obtained all of our samples and waited for the results. The last test was the ABR. I was really hoping that this was going to be our answer. He would have hearing loss, or be deaf. I could learn to sign. He could sign “I love you” and we would be good. I could handle that. Not autism, I didn’t want it to be autism, though deep down I knew. We arrived at Kennedy Krieger for the sedated procedure. 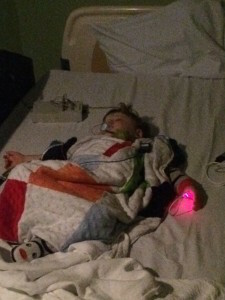 Ike held him while they gave him a special nasal spray that produced a deep nap like state, sedated enough to hook him up to the special electrodes and wires that would be able to communicate to the computer how well his brain was processing sound. We sat in the darkened room and waited as Dr. Pillion watched as the data came in. Once the procedure was complete, a nurse returned and helped Mark come out of the sedation. Dr. Pillion reviewed the findings with us. Mark’s hearing was within normal range. I felt disappointed, and sad. 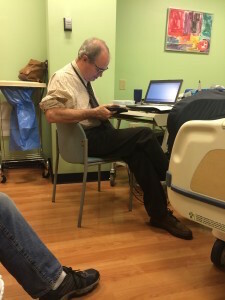 As I watched Dr. Pillion leave the room with his cart of wires, I felt a sadness in my heart because I knew what I know now. I knew that would be the last time we would see Dr. Pillion. And I knew that his hearing wasn’t the problem. All of the other tests showed that Mark was perfectly normal. Nothing showed up on the genetic tests, nothing in the metabolic or his urine tests. The plan was to see Dr. Davoli again in January to do another developmental evaluation and at that point she would have more data and be able to tell us more about Mark’s development. Then came Mark’s appointment with our local pediatrician, Dr. Budi. As part of Mark’s 18 month checkup, I was asked to fill out a survey called the MCHAT. And once again, I knew. I filled out the questionnaire and checked every red flag box possible. I answered yes and no to all of the questions that would raise cause for concern. Dr. Budi reviewed the results with us and recommended that we get a speech evaluation and begin therapy ASAP. Around that same time, the spinning came. Houston, we have a problem. If there was any doubt that Mark was to be diagnosed with autism, that ship had sailed. He had some subtle tics prior to this that I can identify as stims now. He would shake his head back and forth repeatedly and then look out of the corner of his left eye often. 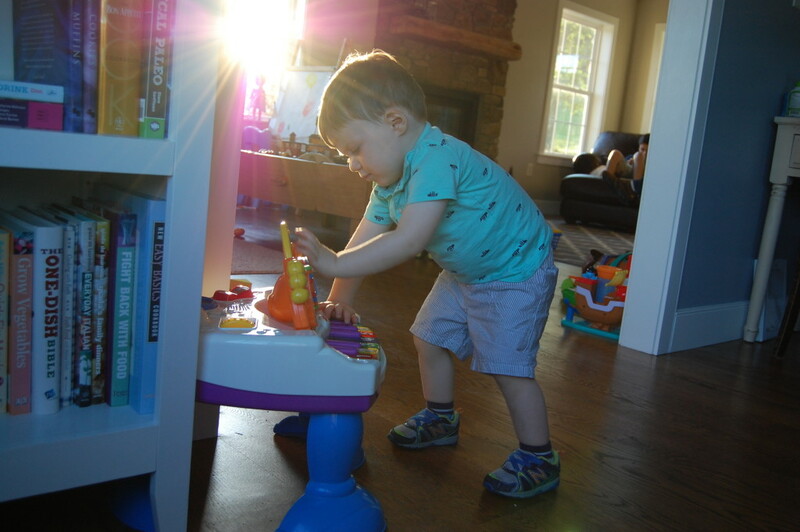 The spinning began by slow rotations on his hands and knees right around the time he began to be more proficient with crawling, which wasn’t until after his first birthday. And by 18 months of age, he was full blown fast spinning in a very accurate, methodical way that made all of us feel dizzy. I felt horrified and helpless. Here’s my little boy with no sounds, no eye contact and now he spends 80% of his time spinning. I was still too nervous to google Autism or get out my old copy of the DSM IV, but I knew. After this appointment and the addition of the stim behavior, I contacted Dr. Davoli again to check in. I explained that he wasn’t pulling to stand or walking at this point so she became concerned that there was something going on neurologically that would contribute to the gross motor delays. She suspected autism more now but was curious about the additional of significant gross motor delays. Her voice sounded urgent and concerned. I was standing at a gas station when she called me herself to say that she was “very worried”. She recommended that Mark be given an evaluation at CARD (Center for Autism and Related Disorders), have a sedated MRI and then schedule an appointment with a Neurogenetics doctor. I began making the recommended appointments for what seemed like forever away. Sitting in front of my Christmas tree, I felt defeated as the scheduler at the Neuorogenetics Clinic informed me that Mark would not be seen until March. CARD was slightly better. They were able to see him at the end of December, right before Christmas. We would begin the process by having a speech evaluation. December 19, 2014 was an awful day. As I mentioned previously, Mark spent the entire hour and half evaluation spinning in circles, making no eye contact, then finally collapsed asleep on the floor. I can’t even describe the emptiness and helplessness we both felt that day. 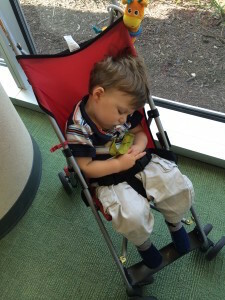 After the speech evaluation, it was then recommended that we have all four parts of a CARD evaluation, including OT, social work and then a meeting with the developmental pediatrician, who we presumed would make the diagnosis. Since the holidays were upon us, the entire world had to shut down and I was angry. I was never happier for the professional world to resume operation after New Years. I placed Mark on the cancellation list and so I was able to get him scheduled for the OT and the social work evals during the first week of January. Repeated calls to Dr. Davoli’s assistant landed me the number of the nurse’s line in the MRI department. This was a goldmine. I was able to get directly to the nurse scheduler who was able to squeeze Mark in for the MRI later that month, a full 1-2 months sooner than anticipated. Finally, I felt like I was thrown a bone. Mark had the OT evaluation, which went better than the speech evaluation. At this point, I had done some more research and learned a few strategies for getting him to come out of the spinning and get him a little more engaged. We also discovered his love for the tire swing, and set the plans in motion to build one for our house. The next day was the social work evaluation. This meeting was intended to give us resources after we received the diagnosis. However, due to the way things were scheduled, we had this meeting first. This meeting annoyed me. 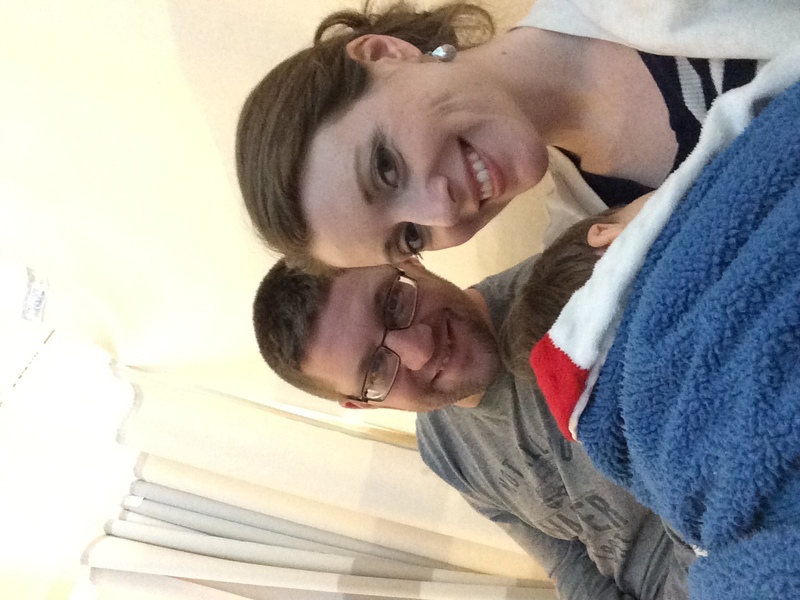 We were basically asked how we were handling this process as a family and a couple, then shown a bunch of websites. When I inquired about recovery or losing a diagnosis, it was as if I had made her gasp at my taboo question. She stated that she remembered one child being ok after years of therapy. How encouraging. She also mentioned placing Mark on the autism waiver list in Maryland, which has a 5-7 year wait. This would be incredibly helpful to us later, just not right now. We were directed to the First 100 Days Kit which walks you through a million steps of things to do once you receive the diagnosis. Terms like respite care and adult diaper delivery were said. The whole thing was weird and surreal. Later that month Mark would have his MRI, which would return normal and the next day he would meet with Dr. Menon at Kennedy Krieger. When we entered Dr. Menon’s office, she began with, “so what is it that I can do for you?” That seemed like the understatement of the century. This honestly was not a sad day for us, we saw this coming and in a way felt a sense of relief when we headed back to work from Baltimore that morning. I likened it to throwing up, all the lead up to now was nauseating, but now that we have the diagnosis, I feel relieved, and less nauseous. Taken right around the time of his diagnosis. 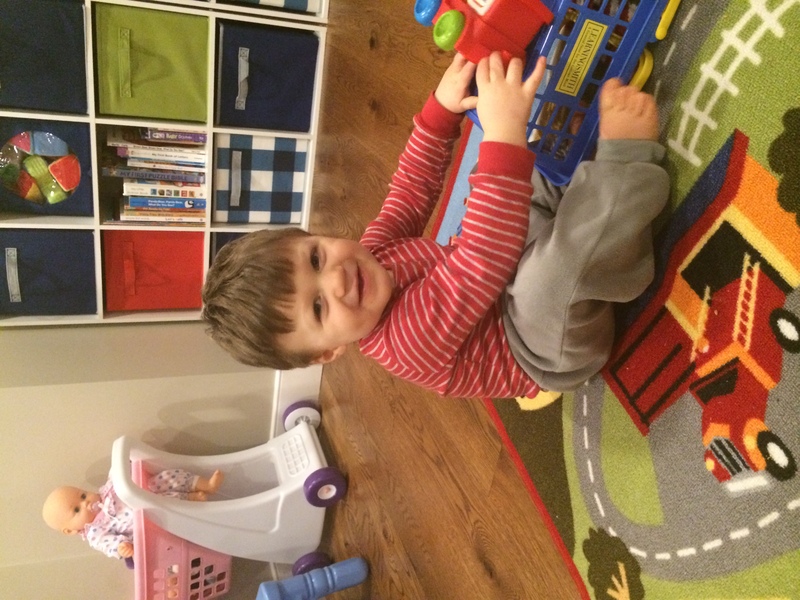 To this day, his favorite toys are baskets and his train (both used for visual stimming). It was recommended that we get on the list for Early Achievements, a four day per week half day group speech program, Jump Start – a six week parent training program focused on speech and communication, Play with Me – a six week OT program, 10-20 hours per week of ABA, PECS, Floor Time/DIR and look into several Baltimore area ABA day programs. Then we were directed to do an overnight EEG to rule out seizure activity since some of Mark’s behaviors and stims were in line with potential seizures. Mark completed his overnight EEG in February, once again my incessant phone calls and placing him on the cancellation list paid off. Ike, being the saint that he is, takes him on this adventure in the dead of winter. Once again, these results show nothing significant and no seizure activity is reported. Kennedy Krieger calls and we’ve been given a spot in the Jump Start program. Around this same time, I finally have Mark in the pipeline for services at Total Rehab, our local therapy place at the hospital. We started him in OT, Speech and PT, twice per week. I thought that I was going to crumble from schedule fatigue because now I was juggling three outpatient therapies, and the services through Birth to Five, special ed, PT, OT and speech. By the beginning of February, Mark had seven therapists, and counting. For anyone working with Kennedy, please consider doing these parent training programs like Jump Start and Play With Me. They have been the key to me understanding how to communicate and play with Mark. It was during these sessions where I learned that he loved music, books!, being swung, squeezed, swung around and lots of physical play. I can still say the first lines of Mark’s favorite book, and he will stop what he’s doing and beam the best smile back at me. It was then that I placed him on the waiting list to receive both speech and OT individual services. I will find out later that one of the only PROMPT trained speech therapists in the area that accepts insurance is the person that Mark is on the waitlist to see. God is so good.